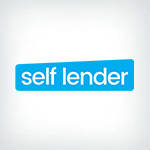 Self Lender is a venture-backed credit builder startup based in downtown Austin, Texas. With the understanding that building a financial foundation can be a daunting task, Self Lender helps people begin their financial journey with a savings plan that builds credit. The company has a credit reporting/credit monitoring component, which is free. Credit scores are refreshed once a month for this interface. Self Lender's flagship product is a savings plan that builds credit, wherein the company reports on-time payments each month after a payment is made. Self Lender’s banking partners are Sunrise Banks, N.A., and Lead Bank. Self Lender offers credit monitoring on a regular basis and a free yearly credit report with a general range of a person’s credit score, Experian Vantage Score 3.0. This free credit monitoring service allows customers to monitor their credit and save money. To take advantage of this service, a client needs to be a valid permanent U.S. resident with a U.S. physical residence, be at least 18 years old, have a social security number, phone number, and email address. Self Lender is unique in that it manages credit-building savings accounts in addition to credit monitoring. Each credit lender account is a small loan held in a certificate of deposit (CD) account for a loan term of 12 months in an FDIC-insured bank account. Each month, the client pays set loan amounts, which is held in the account, and each payment is reported to all three credit bureaus. By paying on time each month, clients can build a positive credit history and prove to financial institutions that they can borrow responsibly by showing they can successfully avoid making a late payment. It's important for consumers to know that a repayment will be reported as a late payment if it is not received within 30 days of the due date. The savings account is always accruing interest. After 12 months, the savings account unlocks and funds arrive in 10-14 business days. Clients can choose if they want to start paying off their accounts or close their accounts early for a less than $1.00 fee. Opening a credit builder account requires the same eligibility points listed in the credit monitoring section above as well as an additional bank account or debit or prepaid card (debit card incurs a convenience fee of $0.30 + 2.99%). Prospective credit builder loan account holders can utilize the credit builder loan calculator to determine the total savings loan amounts they want to take out. This helpful tool shows how much the administrative fee, monthly payment, and yearly total interact based on the amount selected for one of the variables. All Self Lender account holders can refer friends and family to the company and earn a $10 check for each referral’s first successful credit builder account payment. The company demonstrates a commitment to college students with entrepreneurial aspirations by offering an annual scholarship of $1,000 to a full-time student enrolled in a two-year, four-year, or graduate program in business, finance, entrepreneurship, computer science, economics, accounting, or mathematics. Self Lender offers a variety of educational credit-specific resources that can be found on its website. Consumers can learn about credit, credit history/payment history, credit limit, the difference between poor credit and good credit, credit scores and reports, how to build credit, how to initially establish credit by using the Self Lender credit builder loan program, a secured credit card, a secured loan, and by becoming an authorized user. Additionally, Self Lender offers information that helps clients learn about its financial products, how to handle money, how to make a loan repayment, and more. While Self Lender does alert clients via email if there is a major credit report change, the company does not currently offer text message alerts. Without text message alerts, consumers may miss an important credit check or credit reporting update. Self Lender appears to only provide free credit monitoring for customers' Experian credit reports. Many other credit monitoring services monitor credit reports from all three major credit reporting agencies. Monitoring credit reports from all three reporting agencies allow customers to more easily keep track of their credit reports and scores. Self Lender provides financial products including free credit monitoring services and an excellent credit-building savings program that is set at an affordable cost. Additionally, Self Lender offers a scholarship, a referral bonus, and educational credit resources that cover topics including payment history, how to build your credit, and rebuild credit with a credit card, loan, and builder loan. Unfortunately, Self Lender does not appear to provide text alerts and does not monitor credit reports from all three major credit bureaus. However, this company is a good one for consumers to consider as it offers the convenience of utilizing both credit monitoring and credit building services through one account. Though the credit builder lending account program is considered a loan, it’s not traditional in that clients cannot spend the loan amounts immediately. Instead, clients can think of each monthly payment as a money payment to themselves — and an easy way to build good credit when they repay the loan on time. Each on-time loan repayment is reported on a monthly basis to the three major credit bureaus. If you are looking for a free one-bureau credit monitoring service and a way to rebuild your credit/improve your credit, Self Lender might be a good option. Additionally, it is encouraged that you take the time to read several Self Lender reviews if you wish to obtain a more in-depth consumer view of the company's credit builder lending program and credit monitoring services. Took a few months to start seeing it on my credit just like they said I don’t have anything negative to say payments are auto drafted every month if I forget to make a payment have 3 payments to go then I would like to try again I mainly wanted it because I’m bad at saving but good at paying bills so it’s nice to have that to look forward to do with it when I get it back..
To be totally honest self lender has been a great help in helping me repair my credit! 4 months after having self lender My score has increased by 50 points! I only wish the app had more features for managing my account, but all in all a great way to increased your score gradually! Self lender, along with other wise financial decisions, has helped me improve my credit score from the low 500 to high 600 in less than a year. The automatic payments and monthly updates has also helped me to stay focused and ensure that my payments remain on time. Making on-time payments along with my self-lender account increased my score 50 points within just a few months and its continuing to improve. I love it. It’s been amazing just takes some time to show improvement. That’s the only down side. But nothing comes easy. The self lender product is exactly what it says it is,, and does exactly what it says it will do! It was an easy, affordable way to invest in myself and raise my credit score. Since joining Self Lender in March of this year, my Credit Score has ESCALATED 125 Points which is beyond my wildest expectations!! By the grace of God I was surfing through the internet looking for ways to improve my credit score and I happened upon Self Lender, although at first a little apprehensive and hesitant I took a leap of Faith and joined this amazing credit builder along with the ability to save and I’m so happy that I did! I took their advice on taking care of the negative marks on my credit report and applying for a Secure Credit Card and I’m still taking positive steps in the right direction to continually improving my Credit Score that Self Lender has suggested by supplying me with updates on my credit report. My future was appearing very bleak but now it’s looking very bright all thanks to God and his remarkable supplier service Self Lender their one of a kind and I’m advising and referring my family and friends to join as well! I began using Self Lender 3 months ago and the process was quick and simple to setup on their website. I make my monthly payments on time with no problems and my credit score has increased already. I started out with a score of 597 and as of today it’s at 657. I’m very impressed and hope to continue to see my score rise. I appreciate Self-Lender and wish I had used it sooner. A great way for someone with no credit to build a score and learn financial responsibility. I love Self Lender, It allowed met to save money and even through I had to cancel my account early they did it without a problem. While using Self Lender my credit score went up about 50 points. I plan on opening another Self Lender account within a few weeks. Top level customer service as well. I’ve been pretty happy with Self Lender. My credit has come out of the abyss thanks to it and still working upwards. Process for payment is great as well, so I have absolutely no complaints. Great staff and product for rebuilding your credit after any disaster in your financial life. I absolutely love selflender !!! Helped me raise my score and save up money. Thanks! I have had a great experience. My credit score has gone up about 40 points in 5 months, payments are easy and on time, and I definitely reccomend this to anyone who can't get a credit card like me. I seen an increase in my credit score after 2 months.I tell all of my friends about self lender. My credit score has improved over 40 points within the six months I’ve opened my account. After bankruptcy this should be a high priority. Self Lender helps repair the damage as promised and costs next to nothing in the end.